click on the pictures to see the attached information. 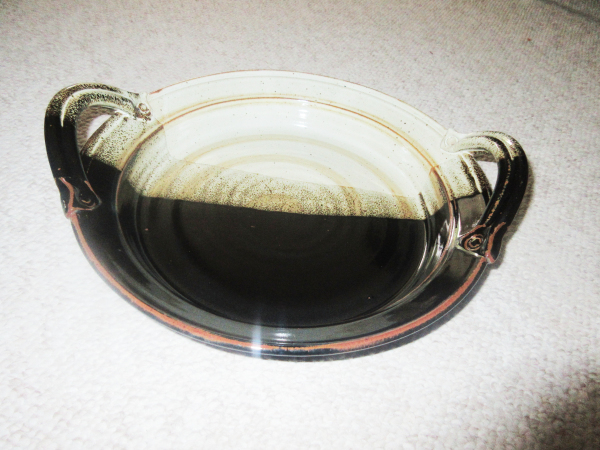 · Always pre-heat your Donn Zver Pottery with warm to hot water before preparing food in it. This acclimates your Pottery and begins the important heating process. · Always ensure that the entire inside is covered with food. Do not use your Donn Zver Pottery casseroles or dishes to heat up one piece of meat such as a roast, fish. If you do, the heat will be gathered and concentrated to that one particular area and will cause the piece to snap. Food items cooked in your Donn Zver Pottery casseroles should cover the entire surface of the dish (such as a quiche in a quiche dish, or creamed chicken). For food items like chicken pieces, Brie cheese or leftovers, reheat independently in the oven or microwave, then transfer to your Donn Zver Pottery serving dishes prior to serving. or before pouring cold water or other liquids into it. 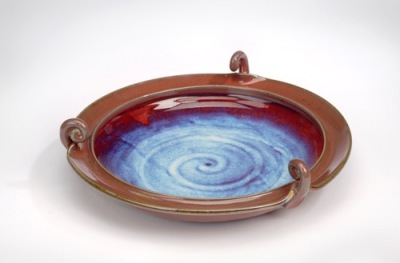 · Your Donn Zver Pottery cannot be used under a broiler or directly over a heat source, such as a range-top burner. Please preheat your Pottery dinner plates and bowls under hot water then towel dry. 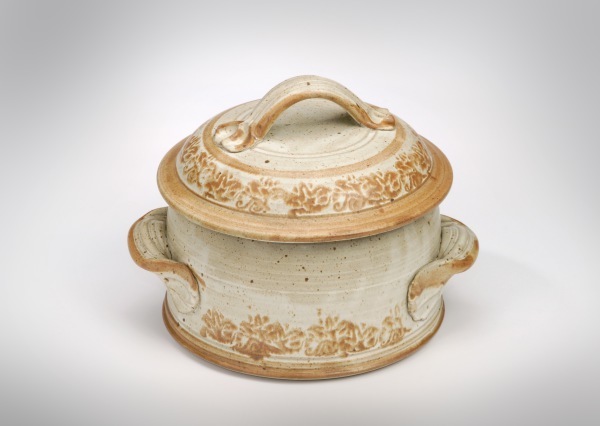 · Your Donn Zver Pottery is freezer safe. However, please do not transfer any of your Pottery pieces directly from the freezer to the oven. Allow food frozen in the Pottery serving dishes to thaw completely in the refrigerator before placing them in the oven to bake. 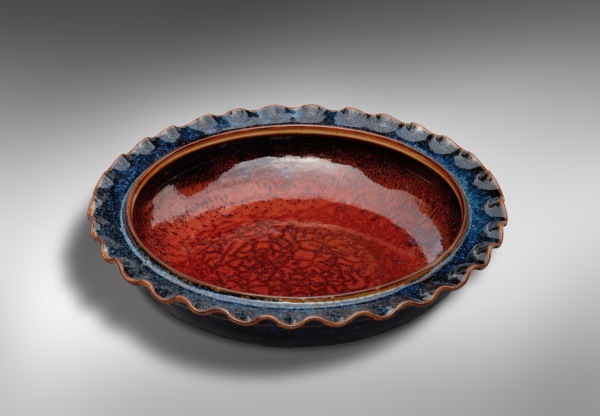 · Donn Zver Pottery is microwave safe. However, foods will not become crisp or brown in the microwave. · If your food is browning too quickly in the oven, lightly cover the surface of the food with aluminum foil for part of the baking time. 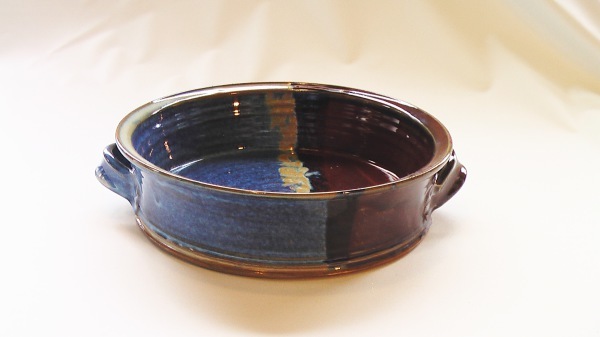 · Always use a heavy, heat-resistant pot holder or oven pad when handling hot Pottery. Your Donn Zver Pottery can become extremely hot both in the oven and microwave. We recommend you use high quality stainless steel cutlery on your Pottery aslesser quality utensils may mark the surface. Believe it or not cleaning your Donn Zver Pottery is the easiest part of its care. Because of the glazed surface, food becomes impervious to the clay. The Pottery can be hand washed and is dishwasher safe. There are a few simple steps for cleaning. 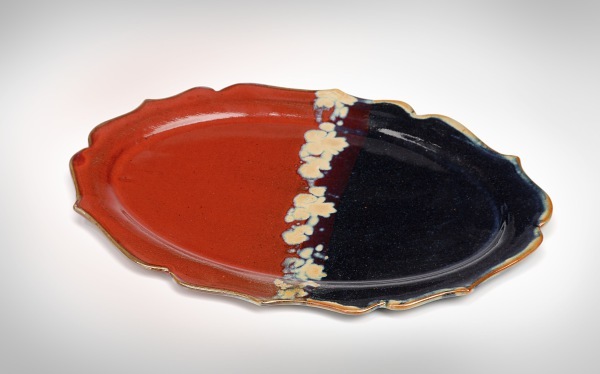 · Allow the Pottery to completely cool before cleaning. · Scrape off any excess food using a nylon pan scraper, or use a nylon, wood, or plastic spatula. Metal spatulas can scratch the surface. 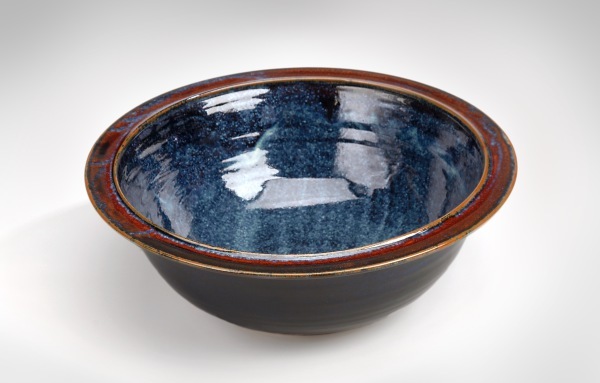 · If necessary, soak the Pottery in clean, soapy hot water to loosen baked-on foods. 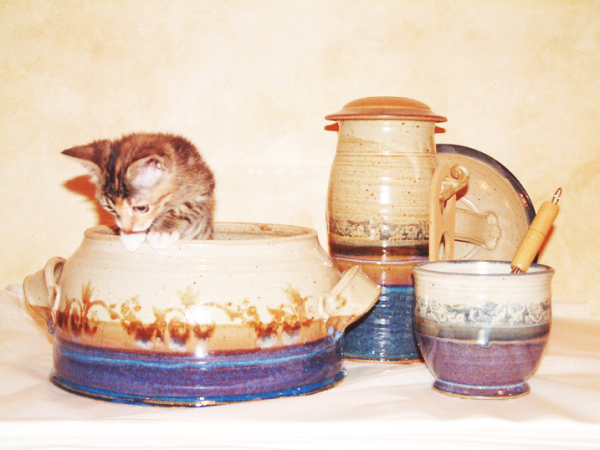 · Then wash your Pottery in the sink, rinse and dry thoroughly, or place into your dishwasher and commence washing. 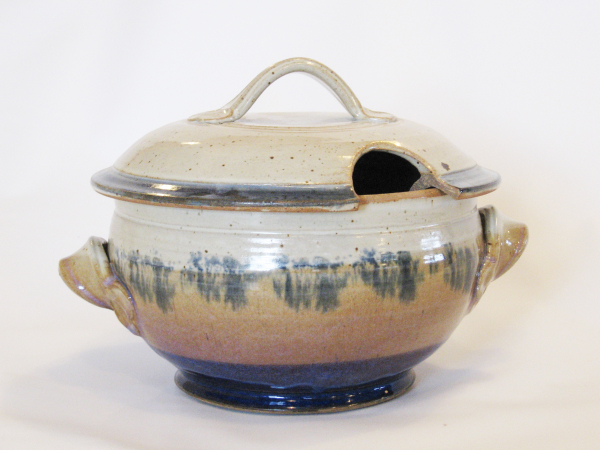 Donn Zver Pottery is durable and it has stove-like qualities. A little tender loving care will prevent it from cracking or breaking. Avoid dropping your Pottery or knocking it against a hard surface, and please don't stick heavy objects such as bowls or cookware on top of your Pottery. With care and consideration you will get many years of enjoyment from your Donn Zver Pottery. able to make a third one for his son or daughter!